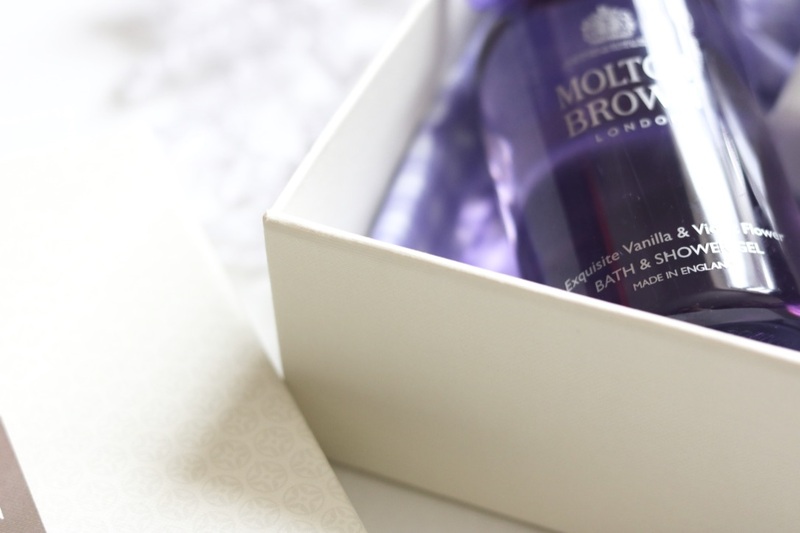 Over the last month or so, I have been testing out the beautiful Gourmand Collection from Molton Brown. There are a few different scents in the new collection, including Pear & Honey and Rose & Rhubarb. I have had a quick smell of those, and they are gorgeous, especially the Rose & Rhubarb! 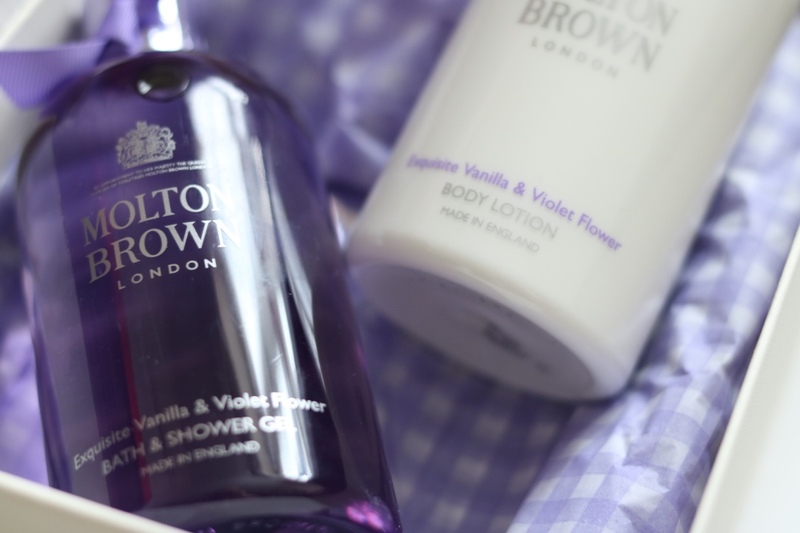 But it is actually the Exquisite Vanilla & Violet Flower range that I have been using. Molton Brown is one of those brands that I always walk past in John Lewis and spend absolutely ages smelling everything. I love the bright colours of the products, the sophisticated design of the bottles and the heavenly scents. 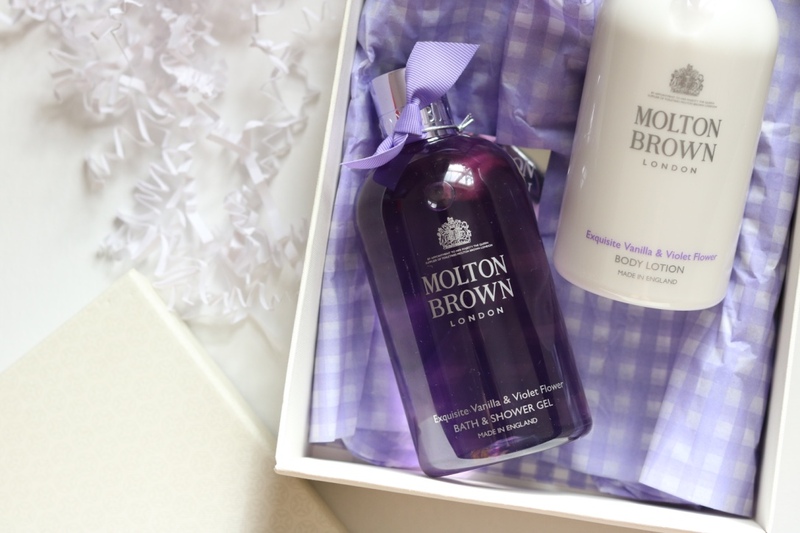 I have bought a few Molton Brown products in the past to give as gifts, but have never bought the products for myself! Now that I have spent some time using the products, I am very glad that I have bought them as gifts in the past! The formula of the products is of very high quality, in line with its higher price tag. The Bath & Shower Gel retails at £20 and the Body Lotion at £25. You can get the two products in a gift box for £45 or there is a gift set which includes the two products plus a candle for £69. The range smells beautiful. Vanilla can be hit or miss with me, but this is definitely a hit. It is the clean vanilla scent, not that sickly sweet smell. There is a touch of floral on top of the clean vanilla scent, which is presumably the Violet Flower! It is quite a sweet scent overall, but not an overpowering sweet scent that you get sick of. It is light and very pleasant to the senses! The formula of the shower gel is really lovely. I am not usually a big shower gel fan, more of a shower cream kind of girl, but I do like this shower gel! It's very easy to apply and smells lovely. Again, not overpowering but it does linger on the skin after a shower. As a shower cream enthusiast, I do lack that moisturised feeling after using shower gel in general. Thankfully, I can counter balance that with the Body Lotion! I really love the Body Lotion. The formula is really thin, which means it spreads easily. It absorbs into the skin straight away, saving you that little bit of extra time! It is very silky and makes your skin feel instantly soft. Again, the scent isn't overpowering but it smells lovely and lasts a long time. It does fade a little throughout the day but not a lot! My skin feels moisturised all day. I have nothing but compliments for this range! The packaging is beaut, the formulas are of excellent quality and the scent is divine. They make for perfect gifts or just a little treat for you! Thank you for reading. 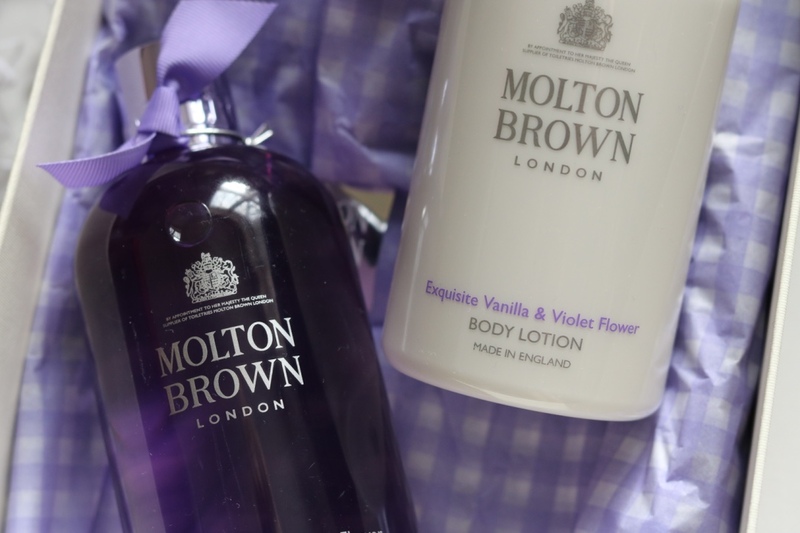 Do you use any Molton Brown products?